Mid-April always is a pivotal time of the collegiate baseball season, as contenders begin to be separated from pretenders, with NCAA Tournament resumés starting to take shape. Following a weekend that saw plenty of upsets and other notable results, there was a deep pool of candidates for the CB360 Primetime Performers Weekly Honor Roll, covering the 10th week of the 2016 season (April 11–17). 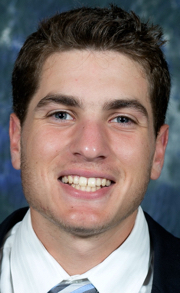 Ultimately, the 15 players listed below made the final cut for the Primetime Honor Roll, led by Hofstra senior third baseman David Leiderman (Merrick, N.Y.) and Arizona State freshman lefthander Zach Dixon (Las Vegas, Nev.), the respective CB360 National Primetime Player and Pitcher of the Week. Scroll down for headshots, action photos and player info. on each of the 15 week–10 Primetime Performers, covering games played during the week of April 11–17. In addition to Dixon and Leiderman, the 13 other members of the CB360 week-10 Primetime Performers include: Texas A&M jr. RF Nick Banks (Tomball, TX) … Arizona sr. RHP Nathan Bannister (Peoria, AZ) … Auburn sr. RHP Justin Camp (Decatur, AL) … UConn sr. DH/RF Joe DeRoche–Duffin (Santa Ana, CA) … Wake Forest jr. RHP Parker Dunshee (Zionsville, IN) … St. Mary’s so. 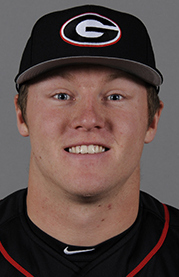 LF Edward Haus (Rancho Palos Verdes, CA) … Louisiana-Lafayette jr. 3B Joe Robbins (Pineville, LA) … Appalachian State fr. 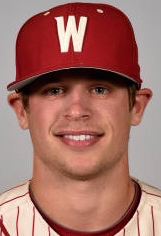 DH/LFP Colin Schmid (New Bern, NC) … Vanderbilt jr. RHP Jordan Sheffield (Tullahoma, TN) … Washington State sr. 2B Trek Stemp (Kennewick, WA) … McNeese State sr. RHP Ethan Stremmmel (Lake Jackson, TX) … Virginia jr. catcher Matt Thais (Jackson, NJ) … and Georgia so. 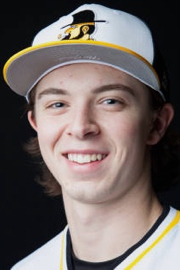 3B Mitchell Webb (Dallas, GA). > LEIDERMAN (pictured at left) collected multiple hits in all four games during the week – including a sweep of CB360 #29 College of Charleston (4-3, 3-1, 8-7) – while batting at a .643 clip (9-for-14) as part of his strong all-around offensive contributions. His big week included factoring into 16 of the Pride’s runs, with a dozen RBI and six runs scored (two of which came via his own home runs). His five extra-base hits also included a triple and a pair of doubles, with his output also featuring three sacrifice bunts, two stolen bases and a 10th time on-base courtesy of a hit-by-pitch. 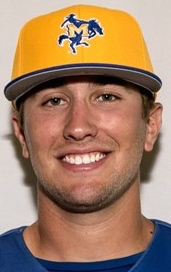 Prior to the series win for Colonial Athletic Association last-place Hofstra (vs. the league’s top team CofC), Leiderman also helped blow out Manhattan in a 14-4 midweek game. A few days later, he homered in the 11th to end the series opener vs. the Cougars. 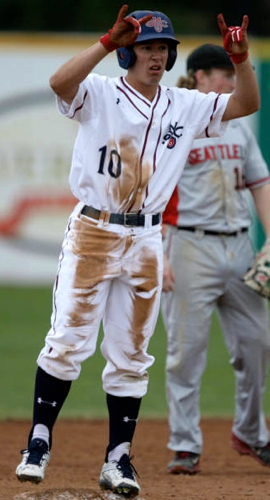 The Pride’s 5-hole hitter then reached base three times (2-2; HBP), while also executing a sac. bunt, in gm-2 vs. Charleston. He capped his 6-for-9 series by going 2-for-3 in the finale, highlighted by a two-run triple and two-run double. 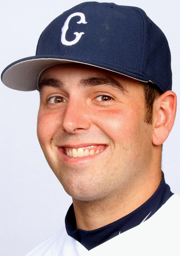 Over the course of the four-game week, Leiderman amassed an eye-popping 2.024 OPS (.667 on-base pct. plus 1.357 slugging pct.). 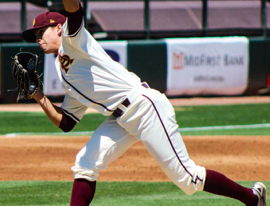 > DIXON (pictured at right) had logged only one inning during his rookie season before rising to the occasion in his first start, twirling a three-hit shutout (4–0) that delivered the series win vs. CB360 #17 California, for an Arizona State program hoping to make a push for an NCAA Tournament bid. The freshman lefty overpowered a Bears offense that was leading the Pac-12 Conference in team batting average and runs scored, while ranking among the league’s top-three in most offensive categories. In the economical shutout, Dixon located 70 of his 115 pitches for strikes, en route to seven strikeouts, seven groundball outs and only three walks (plus one hit batter). He allowed only two of his seven baserunners to venture into scoring position (both in the 4th, after a single, walk and teammate two-out error, before his rally-killing K). Dixon logged three 1-2-3 innings and retired 10 of his final 11 batters in the impressive blanking of the Bears. The 15 week–10 Primetime Performer honorees include: seven pitchers (five RHPs, one LHP, and a DH/LFP two-way player) … three third basemen … two rightfielders … and a catcher, second baseman and leftfielder … six seniors (one of them a 5th-year player), five juniors, two sophomores and a pair of freshmen … two California natives and two more from Texas, plus one each from the following home states: Alabama, Arizona, Georgia, Indiana, Louisiana, Nevada, New Jersey, New York, North Carolina, Tennessee and Washington. Ideally, the members of the Primetime Performers Honor Roll all have played a role in games that likely will have a significant impact on determining the 2016 NCAA tournament field – i.e key results, for notable teams. * Dixon is the CB360 National Primetime Pitcher of the Week and Leiderman the Primetime Player of the Week. 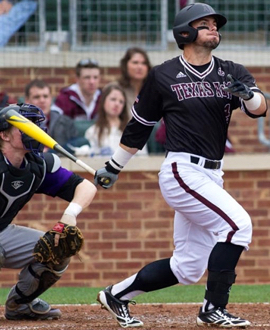 All-America talent who delivered in a big way during Aggies impressive sweep at CB360 #11 Mississippi State, the first time since 2010 (vs. Vanderbilt) that the Bulldogs have been swept in a series at Dudy-Noble Field (10-3; 10-6; 10-5) … hit 10–19 (.526) during four-game week, including 10-4 win vs. Abilene Christian, while factoring into 12 of his team’s runs (7 RBI–6R–HR) and collecting five extra-base hits (HR–3B–2B) … leading cog in A&M offense that has scored 10-plus runs in six straight games (longest streak by Aggies since 1993) … hit 3–5 to open series in Starkville, punctuated by opposite-field grand slam (also doubled and scored twice) … scored three times the next day in game-2 win (2-4; BB–SB) … helped cap the sweep by going 3-6 in Sunday win (3 RBI–R–2B), including the tying single in the 8th before his 2-run double in the 9th … had multiple hits in every game during the week, starting with pair of early singles vs. Abilene Christian (2 RBI) … his 2016 season totals include a .320 batting avg. with 29 RBI (5 HR–3 3B–9 2B) … collected All-American and all-SEC second team honors as a sophomore in 2015 (.364; 48 RBI–8 HR) … made immediate impact in 2014, earning Freshman All-America honors and second team all-SEC (team-best .327, plus 26 RBI and pair of HR) … played for USA Baseball Collegiate National Team during each of the past two summers (hit .386 in 2015) … an All-America performer while starring at Tomball High School … his uncle David Lemmon played college baseball at Noirth Carolina and later in MLB with both the Chicago Cubs and White Sox … another uncle, Mike Ray, played football at Purdue. 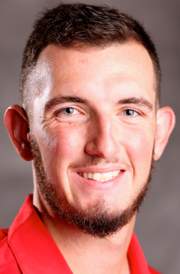 Arizona … RHP … Sr. Veteran righthander who delivered the second complete game of his career, and a near-shutout, leading Wildcats to 4–1 opener vs. CB360 #31 Stanford, with Arizona going on to secure key series win … did not issue a walk in the dominant performance, while scattering five hits and striking out five in economical 114-pitch outing … 18 of his 27 outs came via Ks or groundouts (13) … retired 20 straight batters spanning the 2nd-9th innings, with only five balls leading the infield in that stretch … kept ‘Cats locked in a scoreless game until the 5th and ultimately ended up one out shy of posting a shutout win … his 2016 season stats include a 2.92 ERA and 5–1 record (45 Ks, only 10 BB in 64.2 IP, with a lowly .205 opp. batting avg.) … has dominated at home this season (5–0 with 0.86 ERA, plus only .151 opp. 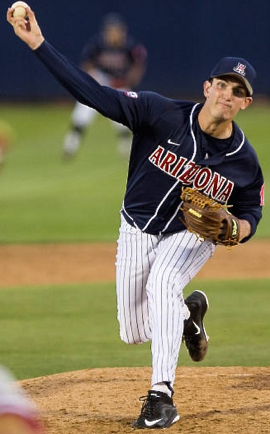 batting at cavernous Hi Corbett Field) … made seven starts among his 23 appearances in 2015 (3.98; 7 wins with a save; 59K–17BB in 89.2) … made 13 relief appearances in 2014, after pitching only three times as a freshman in 2013 … played during the summer of 2014 with the Cape Cod League’s New Orleans Firebirds (2.37; 4–1), after earning all-star honors in the summer of ’13 with the Alaska League title-winning Alaska Goldpanners (2.42; 6–0) … earned prep All-America honors at Liberty High School (state runner-up; also played 3B, hit .454 as a senior and set school record with 55 career doubles) … his father Glenn Bannister played college golf at Weber State. 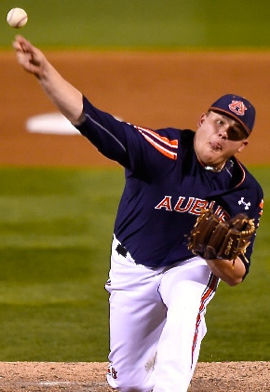 Auburn … RHP … 5th-Yr.-Sr.
His two-hit shutout, 2–0, in opener vs. CB360 #46 Tennessee propelled Tigers to series win, as NCAA Tournament longshot Auburn hopes to position for spot in SEC Tournament … stayed fresh and effective throughout the 116-pitch outing (82 strikes, 71%), the first complete game of his college career, while facing only 29 batters, with only one walk allowed … 21 of his 27 outs came via strikeouts (7) or groundouts (14) … the only two Vols hits included a bloop single in the 1st and bunt in the 5th, with Camp retiring 13 straight batters at one point and 12 straight later in the game … faced the minimum 24 batters after the 1st inning, as Tigers won SEC series for first time this season (vs. one of league’s top offenses) … delivered first-pitch strike to 21 of his 29 batters faced, while working to a 3-ball count only twice … has logged 17 straight innings without allowing an earned run … his nine starts this season feature a 3.30 ERA and 3–2 record (39 K/17 BB in 57.1 IP, with .227 opp. batting) … posted a 2.33 ERA in 2015 (2–2, 8 saves; 48K in 46.1; .229 opp. avg. ), after subpar 2014 (4.01; 1–5, .246) … granted medical redshirt in 2012 before making his debut in 2013 (2.44; 5–1, .248 in 44.1) … earned prep All-America honors while starring for Austin High School. 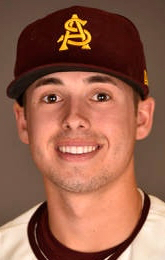 Arizona State … LHP … Fr. Rookie pitcher who had logged only one inning all season before rising to the occasion in his first start, twirling a three-hit shutout (4–0) that delivered series win vs. CB360 #17 California, for ASU program hoping to make push for NCAA Tournament bid … overpowered Bears offense that was leading the Pac-12 in team batting and runs scored, while ranking among the league’s top-three in most offensive categories … located 70 of his 115 pitches for strikes, en route to seven strikeouts, seven groundball outs and only three walks (plus one hit batter) … allowed only two of his seven baserunners to venture into scoring position (both in the 4th, after a single, walk and teammate two-out error, before his rally-killing K) … logged three 1-2-3 innings and retired 10 of his final 11 batters … product of Centennial High School. 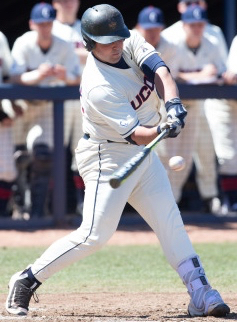 Blasted three home runs during 5–0 week for NCAA Tournament hopeful UConn, capped by big AAC league series sweep of visiting CB360 #47 Houston (3-2; 4-1; 9-2) … also helped Huskies win midweek vs. Fairfield, 2-1, and 6-3 vs. fellow NCAA hopeful/NEC leader Bryant … hit .421 (8–19) during the week with 18 total bases (3 HR; 2B), 7 RBI, 5 runs scored, and another time on-base via a walk … delivered hits in all five games during the week … homered in gm-2 and gm-3 (3-run shot B1) vs. the Cougars … batting only .263 for the season but leads the league with eight home runs while his 31 RBI rank 4th in the AAC … earned ABCA All-Northeast Region second team honors in 2015, after batting .271 with 11 HR, 39 RBI and 30 BB … started his college baseball career at UC Santa Barbara in 2013, before playing at Cypress JC in 2014 … California native who starred at Villa Park High School. 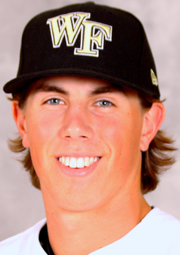 Wake Forest … RHP … Jr.
WFU ace who shut down potent FSU offense, in tight game (1–0 thru five) until the late innings – as Deacons ultimately routed CB360 #5 Florida State, 9–0 – en route to huge series win that helped Wake’s RPI bump from #68 to #49 in only one week … held FSU hitless into the 5th, en route to 7.0 shutout frames with only two hits allowed (3 BB, 4 Ks) … his dominant outing led WFU to its biggest margin of victory over a top-five team this century … lowered his season ERA to 3.22 (5–3; 55 Ks vs only 16 BB in 58.2 IP) … filled numerous roles on 2015 pitching staff as a sophomore (2.89; 5–3, 4 saves) – after filling key relief role in 2014 (2.17; 4–1, save, 49.2 IP) … deceptive pitcher and fierce competitor who earned 2015 Cape Cod League all-star honors with the Chatham A’s (played with Wisconsin Woodchucks in summer of ’14) … three-sport standout at Zionsville Community HS (baseball/basketball/football), including all-conference honors as record-setting quarterback. 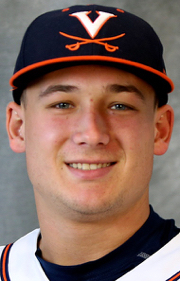 Classic success story as former invited walk-on who was cut after 2014 fall practice before opting to remain at St. Mary’s, then returning this season to earn roster spot and emerge as regular starter/key bottom-of-lineup hitter … helped Gaels surge into share of West Coast Conference lead, after winning showdown series vs. CB360 #21 BYU (5-4, 7-4, 4-5) … converted infielder who has found role as starter in left field … batting .277 with 25 runs scored and 12 doubles (both second-best on the team) … rebounded from being cut from 2014-15 SMC team by excelling in 2015 summer wooden-bat league, with Slater Island Bucks (Staten Island., N.Y.) in the Hamptons League … named MVP of Hamptons League All-Star Game, before winning league batting title (.360) and ultimately earning League MVP honors … California in-state product from Peninsula High School. 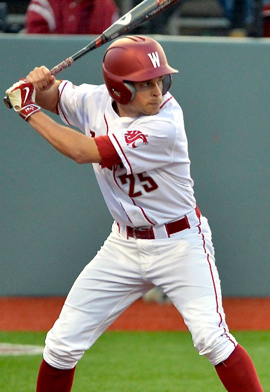 Collected multiple hits in all four games during week – including sweep of CB360 #29 College of Charleston (4-3, 3-1, 8-7) – while batting at a .643 clip (9-14) as part of his strong all-around offensive contributions (12 RBI–6 R–2 HR–3B–2 2B–HBP–2 SB–3 sac. 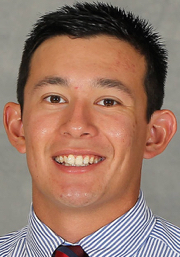 bunts) while playing error-free in 14 fielding chances at the hot corner … also helped blow out Manhattan in 14-4 midweek game … homered in the 11th to end the series opener vs. CofC … reached base three times (2-2; HBP), while also executing a sac. bunt, in gm-2 vs. Charleston … capped his 6-for-9 series vs. CofC by going 2-3 in finale, highlighted by 2-run triple and 2-run double … amassed an eye-popping 2.024 OPS (.667 on-base plus 1.357 slugging) during his big week … hit .277 in 2014 (team-best 29 RBI; HR, 8 2B), after batting .248 in 2014 (18 R, 7 2B) … utilized redshirt season in 2013 … New York native and product of Bellmore JFK High School … his father Mike Leiderman was a four-year starter for the baseball team at Queens College. 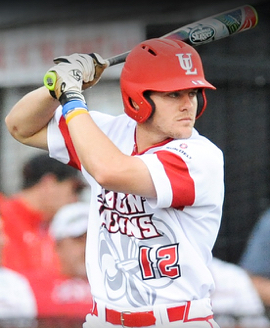 Hit .467 (7-15) and slugged nearly 1.000 (2 HR, 2B) during pivotal weekend for Cajuns that included 9-2 midweek win vs. CB360 #33 Tulane before winning non-conference series vs.  Southeastern Louisiana (4-1, 5-16. 5-4; gm-1 at ULL, then at SE La.) 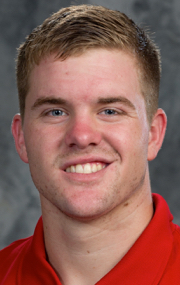 … filled needed role for delivering clutch hits, as ULL continued its midseason surge as potential NCAA Regional host … his totals for the week also included 5 RBI , 4 runs and 10 times on-base (2 BB; HBP) … went 3-for-4 with 4 RBI in midweek win over the Green Wave … homered vs. Southeastern ace Kyle Cedotal to cap 4-1 series opener … closed the weekend with key double in five-run top of the 6th, as Cajuns went on to claim the series … leads team in home runs (9), runs scored (31) and walks (20) while ranking 2nd on squad with .333 batting avg. 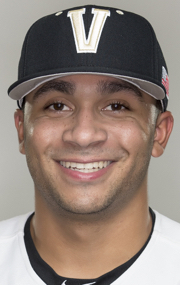 and 25 RBI … hit .230 in 2015 (23 RBI; 3 HR) after seeing his 2014 season cut short by early injury (3 GP) … made three starts (18 GP) as a freshman in 2013 (hit .118) … in-state product out of Tioga High School … both of his parents played college sports – father Ronnie with LSU baseball and mother Sue with Louisiana-Monroe softball – while his sister Megan was a softball player at Louisiana College and soccer player at LSU-Alexandria. 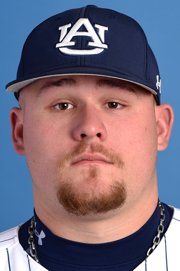 Two-way starter who hit 5-for-11 during week while delivering his first winning decision of the season, in series-clinching game vs. CB360 #18 South Alabama (4-3, 1-8, 4-3) … hit 3-for-4 and scored twice in midweek 7-5 loss at CB360 #46 Tennessee … collected hits in first two games of the South Alabama series, before logging 7.0 innings and striking out nine (both season highs) with only one run allowed in decisive third game (6 H, BB) … retired 16 of his final 17 batters faced, as App State won a series vs. a top-25 opponent for only the second time in program history (also 2012 vs. then-#7 LSU) … over his past three starts, has allowed only three runs on 13 hits, with 16 Ks, over 19.2 innings … batting .245 for the season (13 RBI; HR) with a 6.04 ERA (1-6; 42 K, 24 BB, 48 H in 44.2 IP) … product of New Bern High School. 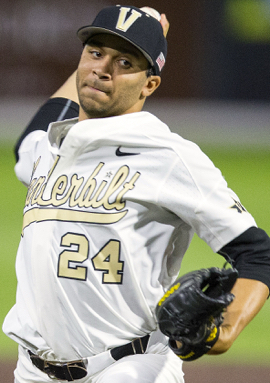 Vanderbilt … RHP … Jr./So. 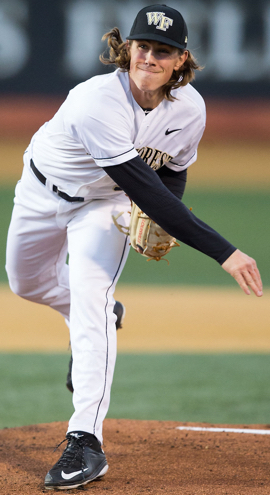 Registered strikeouts in every inning en route to a career-best 14 Ks, while posting Vanderbilt’s first complete game of the season, a 3–0 series opener vs. CB360 #23 Kentucky (Vandy went on to win the series, boosting its hopes for an NCAA top–8 seed) … K’s six of the first 10 batters he faced, while ultimately allowing no runners to reach third base (only two ventured into scoring position) … his dominance proved key in low-scoring game that stood 1–0 until the 7th) … the 124-pitch CG (first of his career) included only five hits allowed and a pair of walks, with 32 batters faced … the 14 Ks matched the most by a Vandy pitcher since Carson Fulmer fanned 14 vs. Ole Miss in April of 2015 … known for his high ceiling, due to electice arm and tremendous athleticism … has posted 11-plus Ks three times this season (2.85; 5–2, 55 K/43 BB w/ .193 opp. 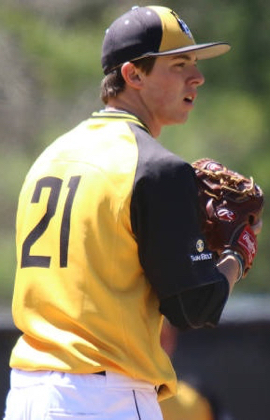 batting in 60.0 IP) … started nine games for 2015 squad that finished as CWS runner-up (2.91; 5–2, 77 K/24 BB, .215 in 55.2) … earned first team All-America honors while starring for Tullahoma High School and the U.S. Under-16 National Team … 2013 MLB draft pick of the Red Sox (13th round) … his brother Justus was a Vanderbilt commit before signing with the Cleveland Indians (2014 first-round pick) … cousin Tony Sheffield was the 2nd-round pick of the Red Sox in 1992. WSU sparkplug from the leadoff spot, guiding Cougars to series win vs. visiting CB360 #14 Oregon State (3-12, 7-5, 8-3) … opened series by batting 3-for-4 with a run scored and his only strikeout spanning the three games … added a single, double and run scored as WSU squared the series … came to play in decisive third game, batting 4-for-5 while factoring into half of the Cougars runs (2 RBI; 2 R) … the pair of wins gave WSU its first series win vs. Oregon State since 2010 … 2nd-leading batter in the Pac-12 (.389), while leading WSU with 22 runs scored and 9 stole bases (also has 14 RBI) … utilized redshirt season in 2015, after batting .242 in 2014 (20 R, 10 RBI) and .331 as a freshman in 2013 (27 R, 15 RBI, HR) … in-state product from Kennewick High School. 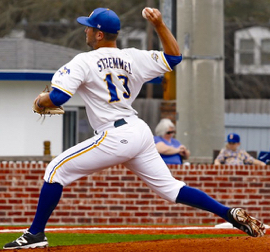 McNeese State … RHP … Sr.
Made only one run of support hold up, leading McNeese to 1–0 finale and series win at CB360 #32 Lamar (which entered the series 10-2 in the Southland Conference and winners of 15 of its 16 previous games) … scattered six hits in the near-complete game performance (8.1), with only one walk to go along with four strikeouts … faced only 29 batters in his longest outing of the season, while delivering 97 pitches against the potent Lamar offense … allowed only two runners to reach scoring position, with only one advancing to third base … the win capped a big week for McNeese, starting with a win over LSU … made 13 starts among his 16 appearances in 2015 (4.52 ERA; 5–4) … played for Galveston JC in 2013 … in-state product who helped lead Brazoswood High School to 2011 state title. 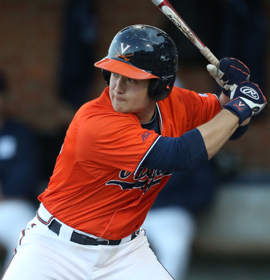 Contributed hits and runs scored in all four games during key 3–1 week, as NCAA bubble team UVa boosted its RPI from #51 to #36 following 9–4 win over Longwood and series win vs. CB360 #12 North Carolina: 7–4, 1–8 and 15–9 … reached base safely in 14 of 18 plate appearances during the week (.778 on-base pct.) while batting 8-for-12 (7 RBI–5R, HR–3B; 5 BB, HBP, only 2 Ks) … smacked tying single in series opener vs. UNC, later adding pair of hits (2-run single that tied game, plus 2-run HR) in decisive game–3 … landed on base after 5-of-6 trips to the plate (3 BB) in that key 15–9 win (pushing his season on-base to .483) … his other 2016 season stats include a .379 batting avg., 27 RBI, 6 HR and 26 BB … earned third team All-America honors as a sophomore (.326; 60 RBI) while helping Cavs win College World Series title …scored lone run in early 1–0 CWS win over Florida, later homering vs. the Gators in win that clinched berth in CWS Finals … played for USA Baseball Collegiate National Team during summer of 2015 … filled mostly a backup role in 2014 (.265; 26 GP/16 GS) … product of Jackson Memorial HS and the Tri State Arsenal travel team … 2013 MLB draft pick of the Red Sox (32nd round). 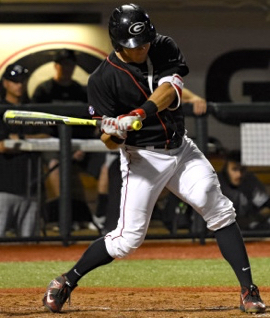 Delivered from the bottom of the lineup in big week for UGa, reaching base nine times (6-for-13 with 3 walks; 2 RBI, 2 R; HR, 2 2B) as Bulldogs won 3-1 rivalry game vs. CB360 #26 Georgia Tech before huge series win vs.  South Carolina (1-3, 13-4, 5-3) … hit 3-for-4 with a double and run scored in low-scoring battle vs. GT … walked thre times to help UGa roll to gm-2 win vs. Gamecocks … closed the series in impressive fashion, with a home run, double and single (2 RBI) to help secure the series-clinching 5-3 victory … hit .218 as a freshman in 2015 (13 RBI; 2 HR) … in-state product who starred at third base and pitcher for East Paulding High School, where he also was an all-region quarterback (was recruited collegiately in both sports) … played summer ball for the elite East Cobb Yankees program.